"We are now in Son La, a pretty big place, where we have exchanged our dollars for dong. There was even a bank that wanted to have only Euros, which seems to be very popular. This morning we left early and are already up at 6 am, which seems early but the Vietnamese are already at work. At 6.45 the children were already at school, on their way to school they eat something at the stalls in the street. I stood there also to buy us breakfast: some bread, cheese and a kind of donut. This morning something different than rice or soup for breakfast. We were the only westerners in the town. On the street everyone stares at you. But after a while, get used to it. It's easy to have a conversation with the Vietnamese, although my Vietnamese is very limited. And their English is limited. Beyond age, occupation and whether you are married you dont get any further. Therefore, it is nice to meet other cyclists from abroad on the road. Very nice to have something to share things, we had lunch and talked. " Son La - is the name of the capital city and the province. The province is located in the northwest of Vietnam and forms the border with Laos. The city has become big because between Hanoi and Dien Bien Phu lies. It is a city that you actually can skip your trip through Vietnam. However, the area of Son La (the province) is worth it. The surrounding landscape is impressive, and there are a few interesting sights: it is home to 30 different minorities, including Black Thai, Meo, Muong and White Thai. About the city we can be very short. In the center of the city is the Son La Provincial Museum. This is a former prison, which was built in 1908 by French settlers. Here were imprisoned thousands of people who later helped in the liberation of Vietnam. Nowadays the museum is still partially a prison, although no one is more detained. In the other part of the museum are exhibited several precious objects, that have to do with the historical and cultural traditions of the 12 ethnic groups living in Son La province. In the city of Son La is also the "Que Lam Ngu Che". That is a tomb inscription written in 1440 by King Le Thai Tong. Near the epitaph is a temple built for the worship of the revered king with a cave: the "Tham Ke Bao." The market is in the center of town and there are hundreds of dealers in various foods. Also, there is fruit, vegetables, flowers, small animals and sold food .... As everywhere, the market is a hive of activity with colourful fresh produce. Close to the capital Son La is a hydroelectric dam, where electricity is generated. This is the largest in Southeast Asia. Also near the city is the Tham Tet Tong. This is a beautiful complex of caves just 1.5 kilometers from Son La. The Dai Yem Waterfall is you can see shiny silver water at the foot of the beautiful waterfalla in Moc Chau hills. 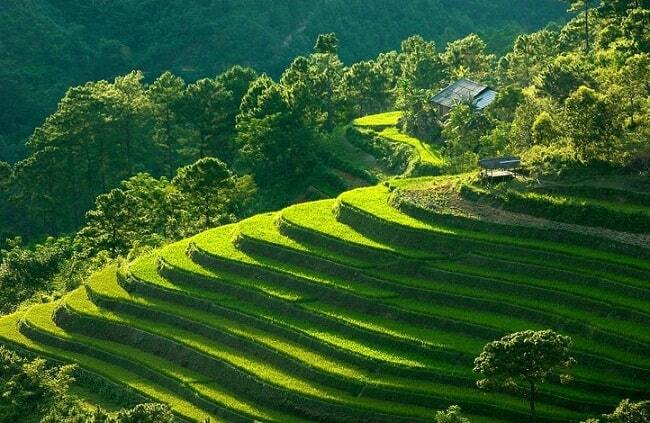 This is due to the cool streams that flow down from the high mountains of the Moc Chau plateau. The Moc Chau Doi Cave (Bat Cave) is well known among tourists. When you enter the cave, you can see beautiful stalactites. They have different shapes, such as a gerbera, rice, fairy, fairies, elephants, lions, tigers, lizards, eagles and even hovering clouds. The entrance to the cave is more than 30 meters high. In the middle of the cave there is a large dry lake with a large stone turtle in the middle. 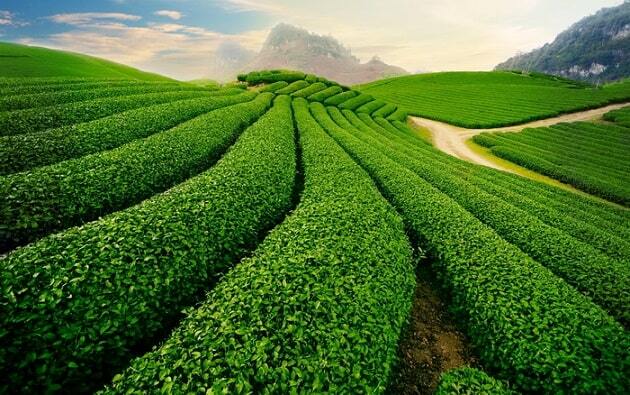 Hua La is a village 5 km south of the town of Son La. It is easily accessible and is located in a beautiful valley surrounded by hills. In the valley grows one among others coffee, plums and apricots. Here live the Black Thai. I recommend to taste typical dishes from the Black Thai, for example, Pia (meat sauce with the different types of beef) or Ruan Can (wine with a straw). The Thai ethnic minority is the 3rd largest ethnic group in Vietnam. They come after the Tay people. Their number is estimated at less than 2% of the total population of Vietnam. Their estimated number is about 1.5 million inhabitants. 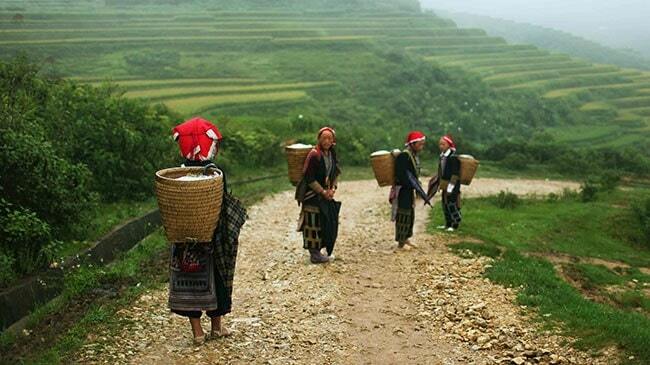 This minority lives mainly in Son La, Mai Chau, Lao Cai and Lai Chau. In the area of Lai Chau and Lao Cai in the north live more the White Thai. 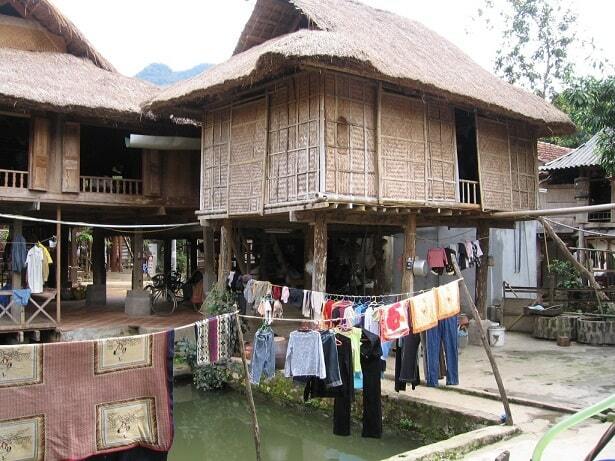 While in the southern part of the province of Son La, Yen Bai Mai Chau more Black Thai life.